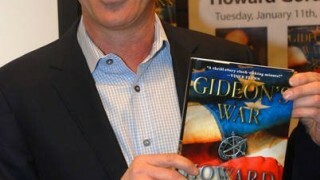 Howard Gordon is interviewed by Newsday’s Verne Gay about his upcoming debut novel Gideon’s War, the 24 movie, and a possible Jack Bauer novel should the movie deal fall through. The interview also mentions a planned sequel to Gideon’s War, “Allegiance,” due out next year. The ninth season of “24” should have been starting just about now – except, of course, “24” ended (sob . . . sob again) last year. 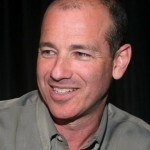 There may be a “24” movie someday, but in the meantime, bereaved fans may wish to consult “Gideon’s War,” a new novel by Howard Gordon, the show’s longtime executive producer. 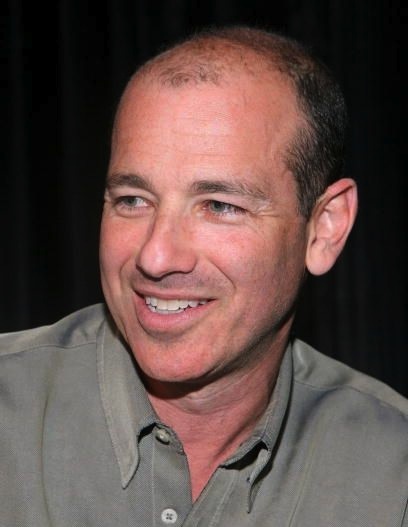 Roslyn native Gordon, 49, began writing this thriller – out Tuesday from Touchstone – during the 2007 writers’ strike. Gordon had time on his hands, and had dreamed of writing novels since graduating Princeton. The result is “Gideon’s War,” a particularly well-written page-turner about two brothers – one supremely good, the other not – whose lives were forged by the horror of their parents’ murder-suicide. And here’s the kicker: Gideon Davis is the anti-Jack Bauer, a pacifist who can’t even look at guns. A sequel, “Allegiance,” is due to come out next year. Gordon – a veteran TV writer (“Beauty and the Beast,” “The X-Files”) will be at the Bryant Library in Roslyn Wednesday at 7:30 p.m. to talk about “Gideon’s War,” Jack and whatever else you like. 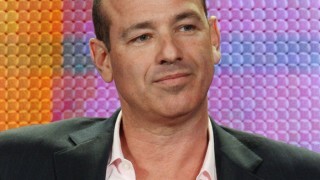 Plus, at 6:30, he’ll screen his favorite episode of “24.” We caught up with him last week by phone. 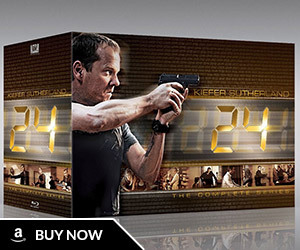 What have you done since “24” wrapped – besides finishing “Gideon’s War”? I really enjoyed a couple months off, but I couldn’t help myself and got back into the swing of it. I’m shooting a pilot in North Carolina starting next week, and I just finished another one for NBC. I’m the oldest of three brothers myself, so the dynamic has always been a fascinating one for me – a rich, dramatic relationship that is variously competitive and loving. I was also very interested in telling the story of a guy who was incredibly capable but had sworn himself to a life of nonviolence. Very much so. Jack is Jack, and for me, the history is so indelibly in my head and in the head of others that I wanted to do something different. 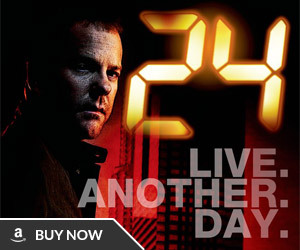 Will there be a “24” movie, even though Fox just passed on the Billy Ray script? As of now, there isn’t, but I hope there is. We’re still discussing it, but we still have to find the right idea. 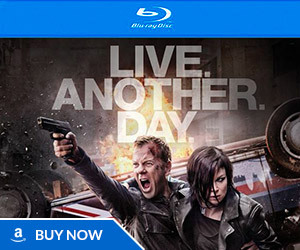 Any regrets wrapping “24” after the eighth day – after all, Jack’s story isn’t over, right? I have no regrets at all. I was extremely happy with how we ended and that we ended. Everything does have its time, and my greatest fear was staying an episode too late, although some people might say we did. But we stayed excited and engaged and were very, very concerned about making it as good as we could make it. I had lunch with Kiefer [Sutherland] a month ago, and he had exactly the same feeling. Had there been a thought to having Jack die at the end? I thought about that and Kiefer did, too, but decided not to and not for the mercenary reason of keeping him alive to fight another day. But there was something about his death that was very tragic and sad, which would have left viewers with kind of . . . I don’t know what the word is – maybe just too much of a downer. That’s why I think there should be a movie. While the series is over, the character has life in him, and he can live in another medium, maybe even a Jack Bauer novel. Maybe. If nothing ever happens with the movie. I kind of have an idea. If you have an idea, Howard, why don’t you use it for a movie ????!!!!! I had the same thought as Yoda. Then again, a novel is a good bridge to a movie if the novel proves popular and successful. I want a movie in the worst way, but I don’t want some half-way story made for monetary purposes that ultimately has to be disregarded by fans of the series. So… in a way, I’m glad the first script was turned down. It shows there’s emphasis on the quality of the story.